I am sincerely honoured to serve our unique organisation as International President. The theme for 2015-2016 is Unique & United. I hope you will find in my motivation the inspiration for the coming IW year. All together we are UNITED in our UNIQUE Organisation. Two key words, two fundamental words for the Inner Wheel philosophy. Each of us is UNIQUE, so we are all different one from each other. At each level in Inner Wheel we have this variety of members. Our members have a clear sense of what UNITES us around the values of Service, Friendship and International Understanding. Our differences, our diversity, will enrich our lives and the whole organization. When members feel the strength of their different background, they are more capable of working harmoniously and engaging in actions, services, projects. We are women from many countries, representing a rich variety of cultures, working together in a great common cause: the progress of mankind. 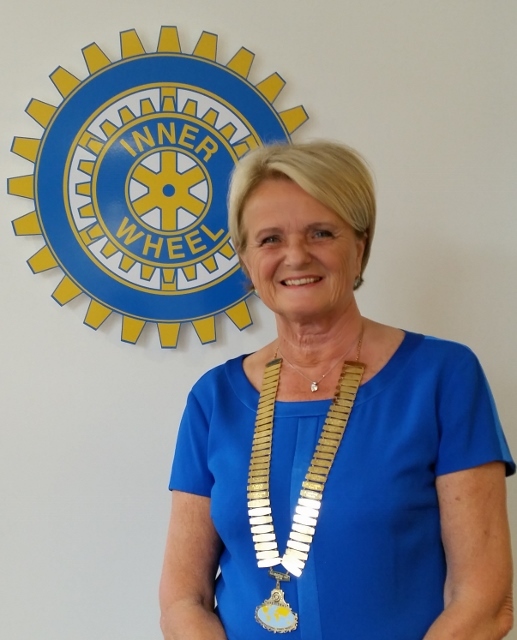 Inner Wheel is a UNIQUE global network of Members, who are working UNITED in all the 103 Countries, with United Nations relations, serving Human Development in caring the Children, Women, Youth; fighting every kind of Violence and fostering the Peace Education. Saving the Environment and the Green planet through the Sustainability in every area. while I was searching on internet on the key words of my theme, I’ve found several times a picture of different hands. A few years ago I received from my grandchildren a painting of their hands. At that time they were 5. Now they are 7. So a new painting has been made with the 7 hands. My grandchildren are very proud to be part of my year as IIW President.